TINY CANDY BEADS FALLING ON A SPHERE. 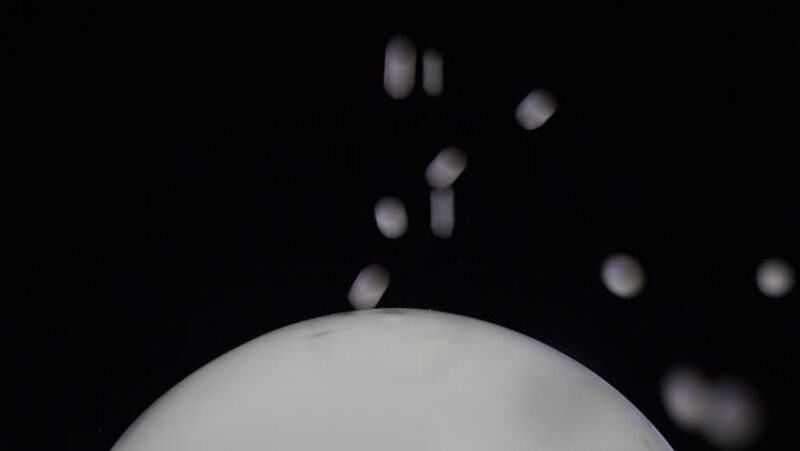 Slow motion shot of candy sprinkles falling on, and bouncing off, a white glass sphere. Shot at 180 fps. hd00:15Light Leaks Elegant Overlay for Valentine's day and different projects!